Sugar Dating During The Holidays Is The Perfect Way To Avoid The Blues: Merry Arrangements! 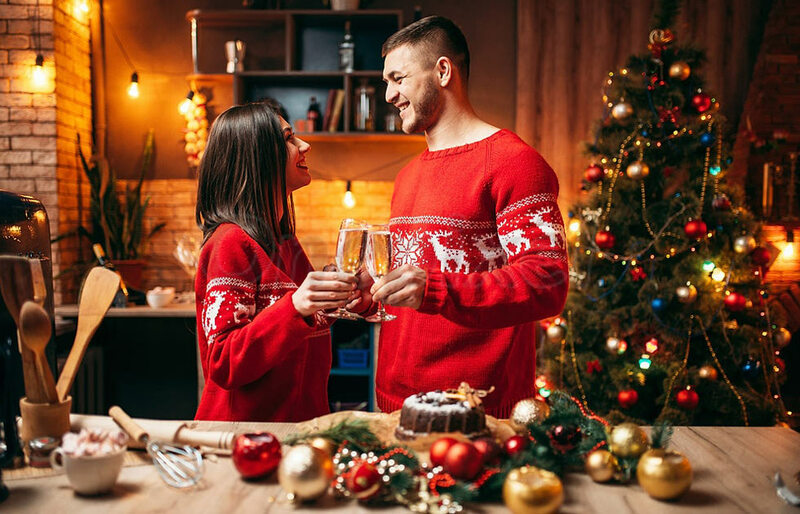 Sugar arrangements have many benefits, but did you know sugar dating during the holidays can be a perfect way to avoid the blues? The holiday season is meant to be a time of accepting and giving love and welcoming joy into our lives. However, for some this season can because of some stress because we’ve been programmed to think that we should have the best of everything in order to be happy. The expectations from ourselves are high and it can be easy to experience feelings of loneliness or being financially inadequate to support yourself during the holidays. Seeing others have just the best time and regretting why you could have what they have can build up stress. Worry not! A great Sugar Baby or Sugar Daddy can save you from all of this. Let’s look at some strategies to avoid stress, which when combined with the sugar lifestyle can prove beneficial to avoid the blues. Sharing responsibilities with others can help reduce stress during the holidays. Since you are a Sugar Baby or Sugar Daddy, cooking food or making arrangements for guests wouldn’t be a problem because, well, your Sugar Daddy’s money can take care of all that. However, you can still delegate the responsibility of keeping you happy to your Sugar Baby or Sugar Daddy. Sugar dating can keep you happy and sugar partners can complement each other by making efforts for mutual benefits. There are certain traditions during the holidays, but no one is stopping you from making your own. Being in a sugar arrangement, you can plan for activities that are catered to your personality and expectations and fulfill what you need. These activities can be anything you and your sugar partner want or like. The sugar world is a mutually beneficial one, which is why it gives you the chance to plan for yourselves. As a result, you are doing only what makes you happy. All these holiday blues can make you think there’s something wrong with you, but there really is not. You can start doubting for yourself for many reasons, but trust us you’re not the only person who’s feeling this way during the holiday season. Your best bet at avoiding all this self-hatred is to stop listening to the comments you are making about yourself and start focusing on making arrangements for avoiding these blues. The best way to do just that is to be people who lift your spirits. A Sugar Baby or Sugar Daddy can pamper you and make you feel better. A Sugar partner will not judge you or compare you to others, they will only be working towards making you feel good and love you for who you are. Negativity can bring you down very easily. What better to shun all these negative feelings than being with your sugar partner. There is no stress or judgments in the sugar bowl; everything is focused on enjoying the best time with each other. Sugar is all about efforts for making the arrangement mutually beneficial. Your Sugar Baby is an adventurous lady who is ready to try new things and makes you do the same too. A Sugar Daddy pays her back by providing her with all the finer things. Suddenly you start loving everything because you are with someone who brings out the best in you. We never remain the same person we are when we were born. The key to living a life that never gets boring is to always be willing to try something new. Embarking on adventures or just trying something new makes you feel accomplished. It is most likely that you will be staying indoors this holiday season, or you could travel to a warmer destination, you and your Sugar Daddy have never been before. Thanks to your Sugar Daddy’s position in life, you can do a lot with him! A great partner will definitely have you feeling good. Sometimes we just need a look around ourselves to be grateful for what we have. See how others are spending their Christmas and be thankful for what you have. You are in a sugar arrangement with a partner who takes care of your needs and keeps doing efforts for a stress-free arrangement. You are lunch to be loved by the person of your choice, doesn’t that give you another to celebrate?